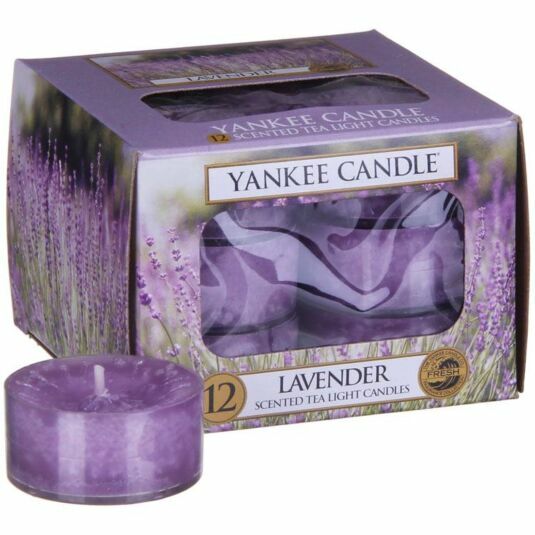 Bring a sense of long summer days to your home with these fragrant lavender tealights from Yankee Candle. Imagine a stroll in sunny Provence where the tranquil scent of lavender fills the summer air. This pack of twelve scented tea light candles has a burn time of between 4-6 hours per light. Perfect for use all around the home and garden, these tea lights work brilliantly as a set or scattered around on their own, releasing their delicate fragrance as they burn and reflecting a warm, relaxed sense of style that’s always at home, be it in the bedroom, the bathroom, the living room, or anywhere else you see fit.